"the best financial planners in Perth"
Need Financial Advice in Perth? It’s time to get the best financial planners in Australia on YOUR side! ipac Western Australia has just won the Financial Planning Association’s National Professional Practice of the Year Award. For a no obligation discussion about achieving your financial dreams contact Patrick Canion and the team at ipac WA. Get their world-class, award-winning team working for you TODAY! Patrick sees that his job is to make people’s lives better – regardless of whether they are a millionaire or just starting out. As a CERTIFIED FINANCIAL PLANNER and CEO of ipac WA, he and his team do this by first understanding the story of your life. They believe that ‘not everything that counts can be counted’ – a good financial plan needs to understand the person you are, not just the money you have. Their approach works – ipac WA have just been announced as the national Professional Practice of the Year by the FPA, beating over 300 other Professional Practices for this coveted award. ipac WA team members have also won FPA Value of Advice awards, State Adviser of the Year Awards and were voted WA’s leading financial planning practice for 3 years in a row by IFA magazine. Patrick is regularly quoted in the media for his expertise which stems from nearly 30 years in financial services. You can find his personal website here. As well as being a Certified Financial Planner, Patrick has a Masters degree in Applied Finance and Investment. He is a former national director of the Financial Planning Association. In this role, he has championed the removal of commission from investment advice. He is a past and current judge of the FPA’s Financial Planner of the Year Awards. He is a director of the Future2 Foundation, a charity that helps disadvantaged youth get a second chance in life. Additionally, Patrick has authored a number of Expert Witness reports for the Supreme Court of WA. Rob Pyne is a CERTIFIED FINANCIAL PLANNER® professional (CFP®) and has a Bachelor of Science and a Graduate Diploma in Financial Planning. Rob was awarded the CERTIFIED FINANCIAL PLANNER® Professional Best Practice Award for WA in 2012 and has been recognised as a member of the “Masterclass for Financial Planning” in 2007, 2008 and 2009 as voted by The Australian Financial Review Smart Investor. Rob was also awarded the KPMG Prize for Superannuation and Funds Management with the Securities Institute of Australia in 1998. Rob is a member of the Financial Planning Association (FPA).Rob helps people make smart choices with their money so they have the highest probability of achieving their goals. He does this by helping them get financially organised and keeping it that way. Rob is a Director of HPH Financial Planning Limited, AFS Licence No. 337755. AFL (Eagles supporter) and keeping up with his young family. As a Director and Private Client Adviser at HPH Solutions, Ashley is looking to have meaningful conversations with families and business owners to help them make better financial decisions. He is a CERTIFIED FINANCIAL PLANNER® (CFP®) and member of the Financial Planning Association (FPA), with a Masters in Financial Planning and Bachelor of Business (international business and management) and is focused on solving complex financial problems through structure and strategy on areas including investment, debt and cash flow planning, superannuation, retirement, insurance and estate planning. As a finalist in the 2015 FPA Professional of the Year Awards, he has been recognised for his commitment to living the ‘client-first’ principle and as a role model within the financial planning profession. On a personal note, Ashley is a keen tennis player and spends his time working on his game and sharing experiences with family and friends. Yves is a highly experienced and well-regarded Financial Adviser who works with professionals and business owners. He has developed a particular expertise in working with Surgeons, Medical Specialists and Dentists, and is Australia’s leading medical financial planning specialist. Yves is passionate about building long-term relationships with his clients and helping them achieve their goals. He prides himself on his strong technical background, but is equally skilled in helping clients manage their financial behaviours. Yves’ dedication to his clients and his work can be witnessed in the recognition that he has received over the years from various sources. In 2017 was shortlisted by ifa Magazine as Australia's Best Client Service adviser. AFR Smart Investor Masterclass For Financial Planning recognised Yves for being the number 2 Financial Adviser in Australia in 2013, and he was also in the ‘Top 10 Financial Advisers’ in 2010 and in 2012. In 2008, Yves had the outstanding achievement of receiving the National Dux award for his FINSIA studies in Financial Planning. In September 2013 Yves was named as the runner up for Western Australia in the 2013 CERTIFIED FINANCIAL PLANNER® PROFESSIONAL BEST PRACTICE AWARD. Yves has also been nominated for the WA 40 under 40 award twice. He has been working in the financial services industry for over 16 years, including in Belgium and Ireland. Outside of work Yves likes to travel and spend time with his young family of 6. He is also a keen basketball fan. For further information, medical professionals should visit the Affluence Private website www.affluenceprivate.com.au. If you are a business owner or other professional please refer to Affluence Financial Planning www.affluenceca.com.au. “Our profession is unique so we need to work with advisors who understand the nature of our careers. Yves has been working with Doctors for a long time, and it really shows. His tailored approach has enabled us to make a structured plan for my future. Yves even got me thinking of things I didn’t even know I needed to think about. The whole process has been stress-free and my questions are always answered. Yves also has the ability to explain financial concepts to someone non-financially-minded like myself. In fact, I learn something new every time we meet. As a result he has saved me thousands of dollars already, and I have gained confidence that my financial future is secure. 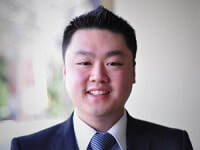 Troy is a Certified Financial Planner (CFP) and is dedicated to providing an alternative approach to financial advice. After winning the highest individual award for a financial adviser in Australia, The 2011 AFA Adviser of the Year, Troy changed gears and focused on building an advice model that could deliver better outcomes for more Australians. These awards are in addition to accolades outside the advisory profession where TWD has won a Telstra Small Business Award in 2014. The foundation for this success was built on an approach that focused purely on providing value to the client every 12 months. Troy as one of Australia’s Most Trusted Advisers and his outstanding team have been recognised for leading the profession forward and as such, are committed to changing the perception around financial advice in the future. Who says you can’t have your cake and eat it too? With good advice, support and implementation anything is possible. Randall will dare you to dream big and help you create a better life. The Fitzpatricks’ vision is to enrich people’s lives. Who doesn’t want that? Randall’s advice was recognised in 2014 by being awarded the FPA CFP Professional of the year. As well as receiving this national award, he was also acknowledged by being given a Fellow (FFPA) membership for outstanding service to the Financial Planning Association. Randall’s open and honest communication style has seen him establish long term relationships with his clients. He strongly believes that advice is pointless unless it is efficiently and effectively implemented. Randall works in collaboration with his client’s other trusted professional advisers to make sure things get done. Outside of work he is blessed with a beautiful wife, five daughters and a son. He enjoys travelling and taking regular breaks. In the future he plans to get more involved is charitable work in his role as financial counsellor to the Esther Foundation and his WA ambassador role with the Future2 Foundation. And of course he loves all sport and still manages to play soccer. As a member of the Financial Planning Association (FPA) and CPA Australia he upholds their Code of Ethical and Professional standards. Randall Stout has over 18 years’ experience advising clients. Randall has provided financial advice to myself and my husband over a number of years. He is personable, very easy to deal with, explains things in plain English and has always been available when we have had any queries. Randall has made a significant contribution to our professional community through his leadership of the Perth Chapter of the Financial Planning Association. Pippa is a CERTIFIED FINANCIAL PLANNER® practitioner and Momentum Planning is an FPA Professional Practice. She has 17 years of experience in the financial services profession including over 13 years as a private client advisor. Pippa has won multiple awards for her advice and client service standards. In 2006 & 2007 she won both State & National winner of FPA Value of Advice Awards. In 2011 she won the National FPA Certified Financial Planner™ Best Practice Award and in 2012 and 2013 colleagues of Pippa at Momentum Planning also won State FPA Best Practice Awards. Momentum have an industry reputation for leadership and best practice. Pippa is married with young twin girls and loves to travel and spend quality time with friends and family. Pippa’s professional goal is to give clients the tools they need to make smart decisions, consistently. This will ensure they have everything they need to achieve all that is important to them. "For over 7 years we have engaged Pippa and her team to advise us on our financial & lifestyle planning needs. They have always provided an exceptional level of service in a sincere, friendly, and professional manner. It is comforting to know that the team are continually overseeing our plans and strategies, and take a proactive approach in addressing and recommending strategy variations as the investment landscape changes. In the past, and for far too many years, we entrusted this very important aspect of our financial security to the larger institutions, and our only regret is that we didn’t find Pippa and her team much sooner. It is without a doubt that I recommend Pippa and her team to anyone wanting personalised and professional planning." Beverly is a Certified Financial Planner® and has over 10 years of experience in the financial services industry as well as extensive employment with Centrelink. Beverly was awarded the WA State winner of the FPA Best Practice Awards – Associate Financial Planner by the FPA in 2012 and works within a team of award winning advisers within a FPA Professional Practice. Beverly specialises in holistic financial advice built on understanding the balance between lifestyle choices and successful long term planning. Full support is incorporated to ensure that advice is understood, implemented and importantly revisited. "From the beginning of our relationship with Momentum, John and myself have not come across a company with such a high level of integrity. We say this because the communication from the start of each appointment until the end is unsurpassing. It is a very rare trait in business these days and the Momentum staff always exceed our expectation. This gives us hope for our future going forward. Beverly Harvey has been our financial advisor for the past 2 years, during that time Beverly’s advice has been concise and effective in planning to help us archive our financial goals. We have found that Beverly’s capabilities, are strong and encourages a bond of trust with us." 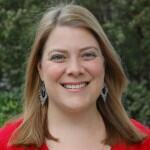 Amanda is a CERTIFIED FINANCIAL PLANNER® practitioner and also holds a Masters in Applied Finance. She has over 14 years’ experience in the financial services profession. In 2006, Amanda joined Momentum Planning, inspired by the holistic and professional, yet personal, approach to ongoing client relationships. Advisers of Momentum seek to set out clear pathways for their clients to help them determine what it is they are working towards, and to ensure accountability and achievement. Amanda was the winner of the 2013 FPA WA Financial Planner AFP Best Practice Award, and a finalist in the 2015 FPA CFP Professional of the Year Awards. Colleagues at Momentum Planning have also been recognised for leading advice with FPA Awards received in 2006, 2007, 2011 and 2012. Currently, Amanda also serves on the committee for the Financial Planning Association’s WA Chapter and is motivated to ensure that the Financial Planning profession is constantly improving and evolving to benefit all Australians. Amanda has a young family and hopes to provide the tools to help her clients and their own families build a sound financial base whilst enjoying all that life has to offer along the way. 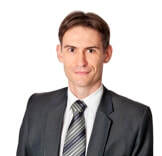 Patrick is a private client adviser for Shadforth Group Perth office. Prior to joining Shadforth, Patrick was a technical manager and financial adviser with Keysbrook Financial Services which merged with Shadforth in 2008. Patrick specialises in wealth accumulation, retirement planning and life insurance. Patrick’s financial and technical expertise has been recognised in a prestigious top 50 adviser ranking from around Australia in the 2010, 2011 and 2012 AFR Smart Investor Masterclass for Financial Planning. Patrick holds the internationally recognised CERTIFIED FINANCIAL PLANNER® designation which is the highest qualification for financial advisers in the profession. 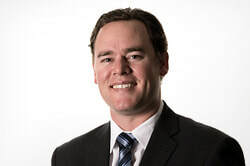 Patrick also holds a Diploma of Financial Planning, a Graduate Diploma of Applied Finance and Investment and a Bachelor of Engineering (Civil with Honours). Stuart has more than 20 years experience as a financial planner. He is a CERTIFIED FINANCIAL PLANNER® practitioner as awarded by the Financial Planning Association and a successful member of the top 50 Masterclass financial planners in Australia. An indication of technical excellence in financial planning. Nektar is a Certified Financial Planner® and Managing Director of Trinity Private Wealth.With more than 14 years’ experience in Financial Planning, he established Trinity Private Wealth to help his clients obtain financial freedom to live their best life. Nektar and his team firmly believe that well thought out financial planning allows people to live happier and healthier lives, free to spend more time doing what they enjoy and less time worrying about money and finances. Specialising in working with clients in the Medical, Legal, Mining, Oil and Gas industries and Pre Retirees, his major strength is explaining often complex financial matters in an easier to understand manner. By focussing on what is truly important in his clients’ lives, he helps them become fully informed to take action and make the important financial decisions that will shape theirs and their family’s futures.His dedication to staying at the forefront of financial thinking through continual education and professional development provides his clients with comfort that he is constantly exploring ways that will preserve and improve their position to ensure they are on track to achieving and maintaining their personal objectives year in, year out. Nektar has been privileged to be continued to be named as one of the top ten advisers in Australia since 2010, with his technical expertise sort after in financial publications including Smart Investor magazine, Asset magazine and the Australian Financial Review newspaper. 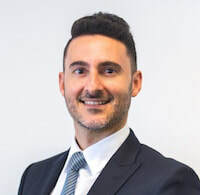 As well as holding a Bachelor of Economics (UWA) and a Post Graduate Diploma in Financial Planning, he is a member of the Financial Planning Association of Australia (FPA) and a Fellow of the Financial Services Institute of Australasia (FINSIA). He enjoys spending time with his family, playing soccer, supporting the Eagles in the AFL and is an active member of the Greek Community of W.A. Adrian Hanrahan is a passionate Wealth Adviser recognised for his technical expertise and trusted advice. Adrian is the only Adviser that is a Certified Financial Planner®, a Qualified Accountant, a Registered Tax Practitioner and a SMSF Specialist Adviser™ who holds degrees in Law, Economics, Financial Planning & Investment Management, as well as specialist qualifications in derivatives. Adrian works with successful executives, small business owners, investors and retirees who seek greater control, accountability and discipline over their financial affairs. He enjoys breaking down complex matters into a simple and structured approach which empowers and educates his clients to achieve sustainable and tangible outcomes. Adrian consults to the Financial Planning Association as a subject matter expert where he assists with the writing and review of course notes and assessments for the Certified Financial Planner® education program, the highest (postgraduate) qualification for Financial Advisers in Australia. Adrian sits on a number of national committees representing the profession and responding to draft legislation and government consultations on taxation and superannuation law matters. Adrian is also a regular contributor to numerous national publications and a regular presenter at professional development days. Adrian enjoys the challenge of structuring financial affairs to achieve outcomes with the greatest degree of confidence, certainty and control. He offers a complimentary initial consultation and his highly popular complimentary “second opinion” service for investors with an existing advice relationship. Ray is a CERTIFIED FINANCIAL PLANNER® professional with over 10 years’ experience in financial planning. He is a LIFE RISK SPECIALIST® and has a Bachelor’s of Commerce in Financial Planning (with distinction). He is a member of The Financial Planning Association of Australia and also is an assessor for the CERTIFIED FINANCIAL PLANNER® Unit 1 Professionalism program. He was also a tutor for the Personal Finance Unit in Curtin University.Ray is meticulous with detail and takes pride in providing professional, high quality and technically sound strategic financial advice. He is a holistic planner with particular strength in retirement planning.He takes a no nonsense approach to financial planning and is passionate about providing objective advice that is centred on client values and best interests. Ray commenced his career in financial planning at independent financial advisory firm Wise FP Pty Ltd. He later went on to own the majority share of the business and was also the responsible manager of the licensee (AFSL No. 221961). Ray took over part of the business in 2013 and has been operating under Godfrey Pembroke ever since. Continuing the family tradition (sixth generation) of providing financial advisory and investment management services to private clients, not for profit entities, and corporate clients, David has been employed in the Australian securities industry since 2001. 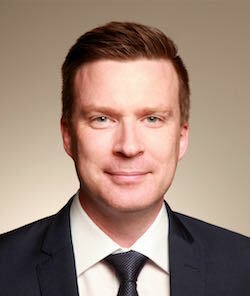 David holds a Bachelor of Commerce, is a CERTIFIED FINANCIAL PLANNER® practitioner and a member of the Financial Planning Association of Australia (FPA).He specialises in the provision of strategic and technical advice, self-managed superannuation as well as discretionary investment management. David has extensive experience in investing, both directly and via unlisted managed funds, in equities, real estate investment trusts, interest rate securities and exchange traded funds. David is Co-Chairman of the Western Australian Anglicare Winter Appeal Committee which raises funds to assist people to cope with the challenges of life and relationships. 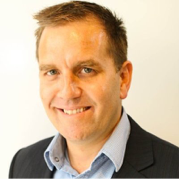 David is a Director of Alder and Partners Pty Ltd, AFS Licence No. 382714. "It was very important to me to find a trustworthy, well informed and professional advisory firm. The level of service from the team at Alder & Partners Private Wealth Management means I would recommend them to anyone requiring comprehensive financial planning advice, both strategic and investment based, without hesitation."